Signals in brackets show the assigned signal for each pin, but are N/C on the converter. 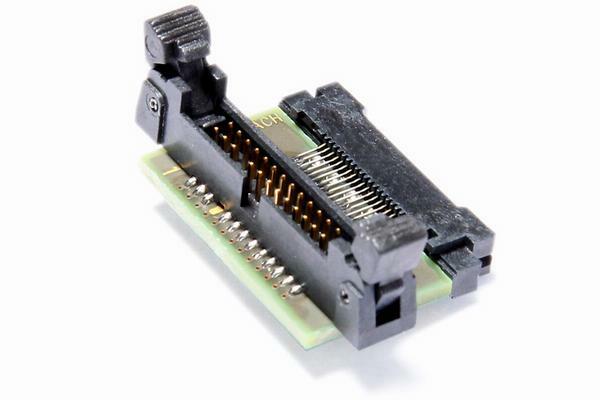 If processor does not have a JCOMP pin, leave N/C at the connector. If processor does not have a RESETOUT- pin (reset output signal of processor), leave N/C at the connector. BREQ and BGRNT are used for communication between debugger and calibration tool. Leave N/C on target. EVTI- and EVTO- are optional. Do not connect if used for GPIO or other functions.